We have multiple financing options for all credit types. Please apply online by visiting GreggCo Auto Sales online at www.greggcoauto.com --> Apply Online. 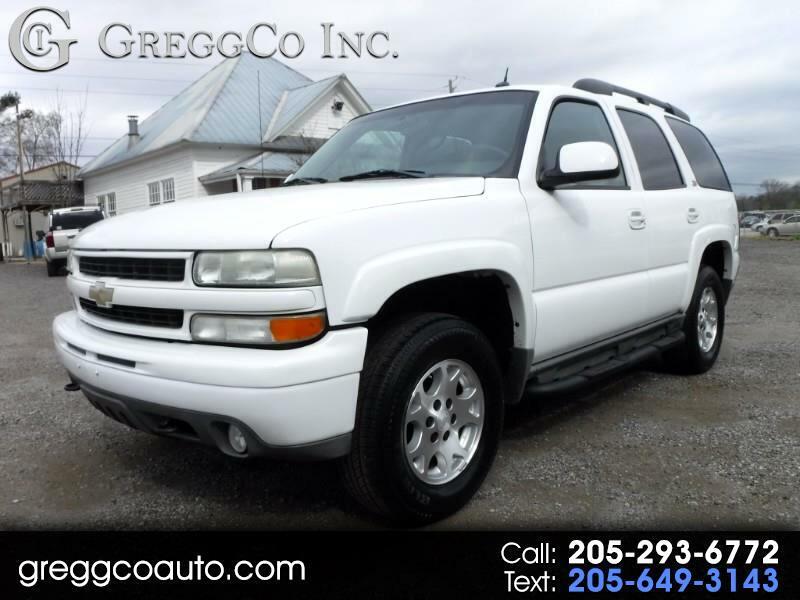 Call or text us at 205-293-6772 today to schedule your test drive. Message: Thought you might be interested in this 2004 Chevrolet Tahoe. While every effort has been made to ensure display of accurate data, the vehicle listings within this web site may not reflect all accurate vehicle items. All Inventory listed is subject to prior sale. The vehicle photo displayed may be an example only. Pricing throughout the web site does not include all taxes and fees. Please see the dealer for details. Vehicles may be in transit or otherwise unavailable for viewing. See the actual vehicle for complete accuracy of features, options & pricing. GreggCo is not responsible for pricing or typographical errors.